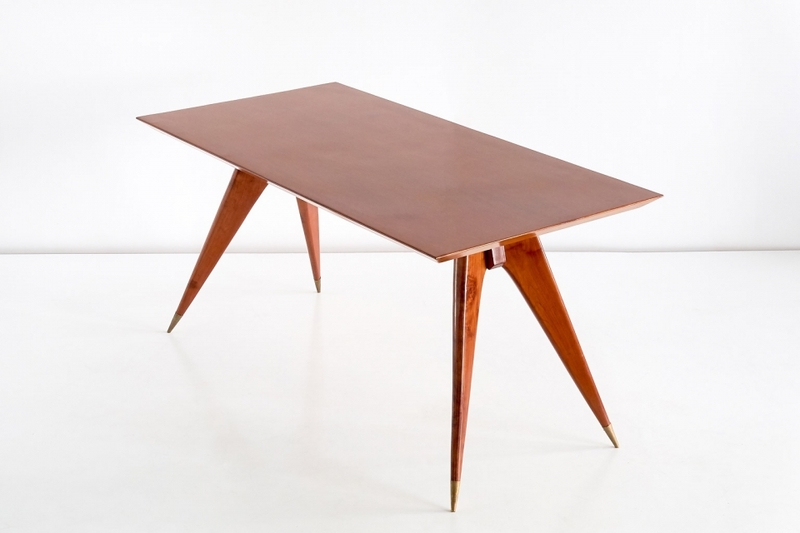 This rare dining table was designed by Melchiorre Bega in the early 1950s. The elegant splayed legs with brass feet give the table a sculptural and modern silhouette. The grain of the walnut wood is particularly striking. Due to its dimensions and design the table could also be used as a work table / desk. The table perfectly illustrates the originality and craftsmanship of Italian design of the 1950s.